The other year I read an article by a Christian lamenting the fact that his church celebrated Christmas. He didn’t believe it was “biblical.” After all, evangelical Christians and their churches are guided by Scripture—and there’s nothing in the Bible telling us to celebrate Christmas each year, far less celebrate it on December 25. I have friends who share that point of view. They believe we should order our lives, and our churches exclusively in obedience to the directives of Scripture. And there’s no command to celebrate Christmas—much less Advent! When you add to that the way that Christmas, and the month preceding it, has been hi-jacked by commercialism, and then consider how many people find Christmas an especially difficult time, then maybe there’s a case for evangelicals abandoning it. What would really be lost? First, the biblical response. We are responsible to obey all God commands in his word. But that isn’t the same as saying that unless Scripture specifically commands it we should not do it. Think of marriage. The Bible doesn’t command you to get married. Nor does it tell you whom to marry. It gives you principles and encourages you to work them out in your life, and promises you the help of the Spirit to do that. You seek to apply these principles wisely. The same is true of church life. We know there are certain basic principles that direct us how to live and worship together as church families. But we’re not given an order of service, told how many services there should be on Sunday, and a thousand other details. God expects us to use wisdom in regulating both our personal lives and our worship, fellowship and service together. How does this apply to the church celebrating Advent and Christmas? Fairly simply, really. A church can decide to hold a conference in the spring over a weekend. It isn’t commanded. But it isn’t disobedience. They do it because they think it’s wise and helpful. A preacher can decide that he’s going to spend a whole month preaching on John 3 v 16. He’s not commanded to—but he thinks it would be spiritually beneficial for the congregation. It is completely within the power of the elders in a church to decide, for example, that every Autumn there will be a thanksgiving service for the harvest, or that every time the Day of Pentecost comes round the preacher will expound Acts 2 or a related passage and they will sing appropriate hymns. The same would be true of Easter. It is true that every Sunday marks the truth of the resurrection; Christ is risen and present with his people. But it isn’t true that every sermon, and every hymn, every Sunday is about the resurrection. So there is wisdom in the church deciding to have a Sunday on which they specifically focus on the resurrection of Christ. The same is true of Advent and Christmas. I think there’s another consideration. Many Old Testament passages look forward to the coming of our Lord, conceived in a virgin’s womb, born in Bethlehem. Matthew devotes almost two chapters to describing and explaining the event; Luke does the same. John takes us right back into eternity when he invites us to reflect on its significance. There are other passages in the New Testament that help us to understand it. In other words, the Bible pays a great deal of attention to the birth of the Saviour and the theology of the incarnation. Why shouldn’t we? My own experience as a minister has been as follows. Frequently I have preached between four and twelve messages on the birth of Jesus during the month of December. That amounts to somewhere between 3% and 10% of my preaching being devoted to the Grand Miracle. Is that out of proportion? Surely not. Yes, Christmas has become a secularised and commercialised season. But there’s an old Latin tag abusus non tolit usus—the abuse of something shouldn’t be allowed to destroy its proper use. The best cure is for Christians to celebrate the real meaning of Christmas. Speaking for myself, the more I have been able to hear or preach about Christ’s coming the more help I have received to focus on what really matters during December. Otherwise I’m swimming against the tide with a Scrooge-like spirit (“Bah! humbug!”). And if so I not only have no joy in celebrating the incarnation—I lose all sense of joy completely! No, what I need is what the great Scottish theologian Thomas Chalmers called “the expulsive power of a new affection”. Knowing more about Jesus and his coming brings a joy that is both deeper and more lasting than all the tinsel and glitter celebrations around us. That’s the conviction behind my Advent devotional, Love Came Down at Christmas. It is an invitation to use the season of Advent to contemplate the incarnation more deeply amid everything else that clamours for our attention. In fact, in one sense this need to fight the tide is how the celebration of Christmas spread in antiquity. Have you ever heard people say it really grew out of a pagan festival? It’s true that the Roman festival of Saturnalia took place in December. But Christmas celebrations didn’t so much grow out of it as grow against it, and in contrast to it. Saturnalia was an excuse for excess, for what the world still calls “having a good time” (often meaning “getting stoned”—headache and all!). Christians in antiquity wanted to live a counter-cultural life, not to let Saturnalia squeeze them into its mould. And they knew they had something worth celebrating—or rather, Someone worth celebrating. And so they met together to celebrate the birth of their Saviour. The first to do that were Shepherds—and they glorified God for what they had experienced. And then came Wise Men—and they worshipped Christ when they saw him. What a blessing it will be if Christmas is like that for us too! Sinclair Ferguson’s Advent devotional, Love Came Down at Christmas is one way to fix your eyes on the true meaning of the season this Christmas. In the book, Ferguson works through 1 Corinthians 13 bringing the rich theology of the incarnation to life with his trademark warmth and clarity. Available to buy here. 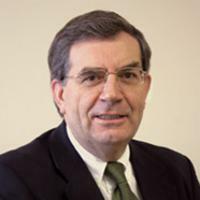 Dr Sinclair B Ferguson is a Ligonier teaching fellow and Chancellor's Professor of Systematic Theology at Reformed Theological Seminary since 2017, commuting from Scotland where he is an assistant minister at St. Peter's Free Church of Scotland, Dundee.